Now with Finale 2014 out in the open, we can more surely discuss its merits. This being the Sibelius blog, after all, I won’t do a detailed review; the incredible Jari Williamsson does an excellent job of that. What follows is a comparison of Finale 2014′s marquee features with their Sibelius 7 counterparts. The intent is to be as objective as possible; after all, at NYC Music Services we use both Finale and Sibelius regularly, and personally I have been a Finale user since 1994 (version 2.0). The second advance is a new option to export Finale 2014 — now with a native “.musx” extension — into a file in Finale 2012 format, which will have the “legacy” extension “.mus”. 1. Full screen mode and Retina Display support for Mac notebooks. 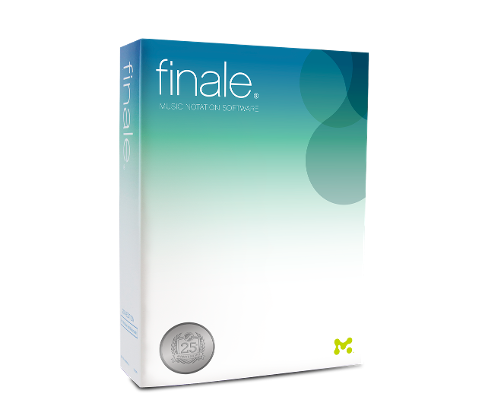 Finale 2014 is the first Finale version to support these features; Sibelius has always included a full screen mode on Windows and supported it on Mac with Sibelius 7. Retina support came to Sibelius over a year ago with version 7.1.3. 2. OS X Mavericks support. Finale 2014 supports it; Sibelius runs on Mavericks but with some problems. No details have yet been given regarding a fix, either by Avid or Apple. Note: Finale 2014 will only run on Mac 10.7 or higher (no Snow Leopard support). 3. New file format – but no 64-bit support. Finale 2014 (including FinaleScript) has been re-written on the Mac in Cocoa to modernize some of its dusty code and inconsistent dialogs; Sibelius 7 underwent a similar overhaul. Disappointingly, however, Finale 2014 is still not 64-bit. Sibelius 7 introduced native 64-bit support upon its initial release in 2011. 4. Backwards compatibility and “future-proofing”. Previous versions of Finale were unable to export files in earlier Finale file formats, commonly known as “backsaving”. The best option in recent Finale versions was to export files in MusicXML format, which lost a lot of native Finale data. This, coupled with the rapid yearly development cycle from 2000-2012, caused headaches for anyone collaborating and sharing Finale files.